The Central New York-based guitarist Ron Spencer has been a favorite of mine since I heard his first solo recording more than 15 years ago. While his band has undergone several changes in evolving to its current lineup (Spencer, singer Mark Gibson, bassist Jay Gould, and drummer Ross Moe), his track record of quiet excellence remains unbroken. His latest album, Soul Reason, is an outstanding set of blues and soul. An excellent singer, Gibson has a hearty, sometimes bemused manner that conveys the low-key humor underlying much of the material. The group’s chief writer, he penned four songs: “Ain’t Got Nothin’,” a series of hard luck vignettes delivered over a rockabilly-inflected beat, with a guitar break straight out of the Carl Perkins stylebook; “Move Back To Missouri,” a rewiring of “Gonna Send You Back To Georgia” that reflects Hound Dog Taylor’s slide guitar boogie version more than the R&B takes by James Carr or Timmy Shaw, and spotlights a wonderful piano solo by guest Mark Nanni; and the beautifully sung swamp pop confection “You Ain’t Gone,” notable also for Spencer’s charmingly primitive, Guitar Slim-style lead guitar and the band’s rhythmic accents at the song’s crescendo. A Chicago shuffle with the sophistication of some of Jimmy Rogers’s ‘50s sides, “If That’s Love” features both fine piano from Nanni and Spencer’s artful guitar work, which combines the styles of Robert Lockwood and Bill Jennings. The rhythm section jumps “Lookin’ For A Woman,” a fast swing, just right. Spencer shows off a keen sense of humor, his way with a phrase, and a sophisticated harmonic approach. “Six Of One” is paced by throbbing electric bass, floor toms and maracas, and pushed by overdriven guitars. Credited to the entire band, it is an attention-getting exercise in dynamics, a moody, minor key stomp that works its way through a breakdown section and into a fast boogie. 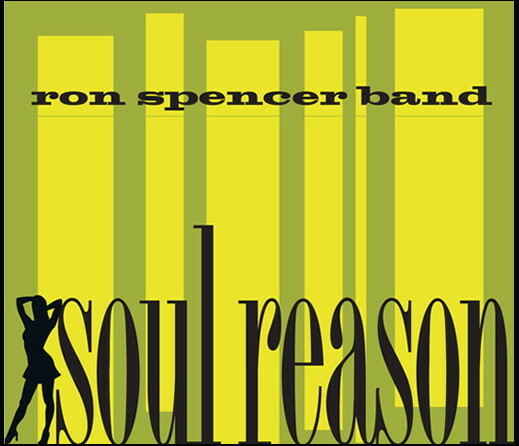 It’s great stuff, and emblematic of the Ron Spencer Band’s deep understanding of roots music. Their inspired playing and writing shows that classic forms, in the right hands, continue to hold both plenty of life and opportunities for originality. Anyone with an interest in real blues music ought deeply to enjoy Soul Reason. The review copy of this CD was kindly provided by the artist.